Exotic coconut lime thumbprint cookies are made dairy and refined sugar free with coconut oil and honey for a slightly healthier option. 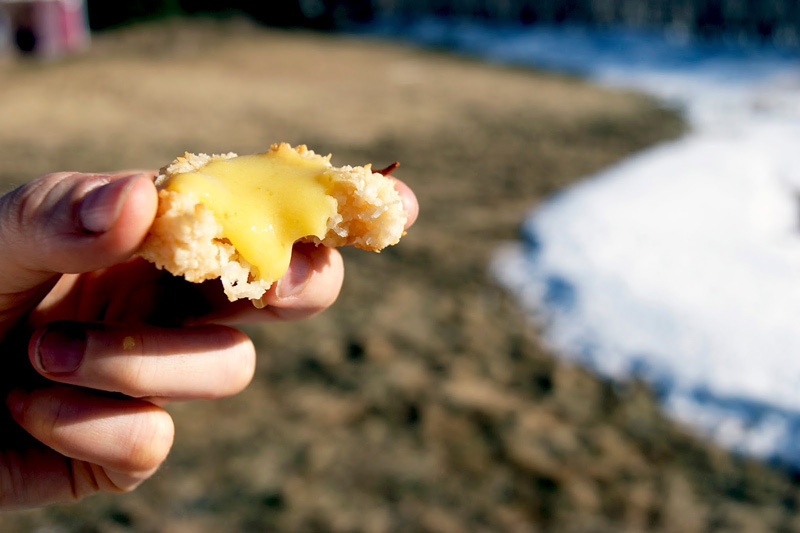 Zesty lime curd pairs well with sweet coconut thumbprints here. I was thinking about this recipe before falling asleep last night. Do you find that your best ideas pop up when you’re in bed? I do. I often email myself recipe, story, and photo ideas. So I had this picture in my mind of what coconut lime thumbprints would look like. They’re sort of a St. Patrick’s Day recipe, but I imagined the lime curd to be bright green. Obviously, that’s not going to happen without some kind of green additive. I considered matcha powder, but it’d be gross in a curd. Green or blue food colouring is not okay in my books, and I didn’t want to add spinach juice or anything like that. They taste bright and lime-y, so you can close your eyes and picture green filling in the middle of your cookies while you celebrate Irishness. 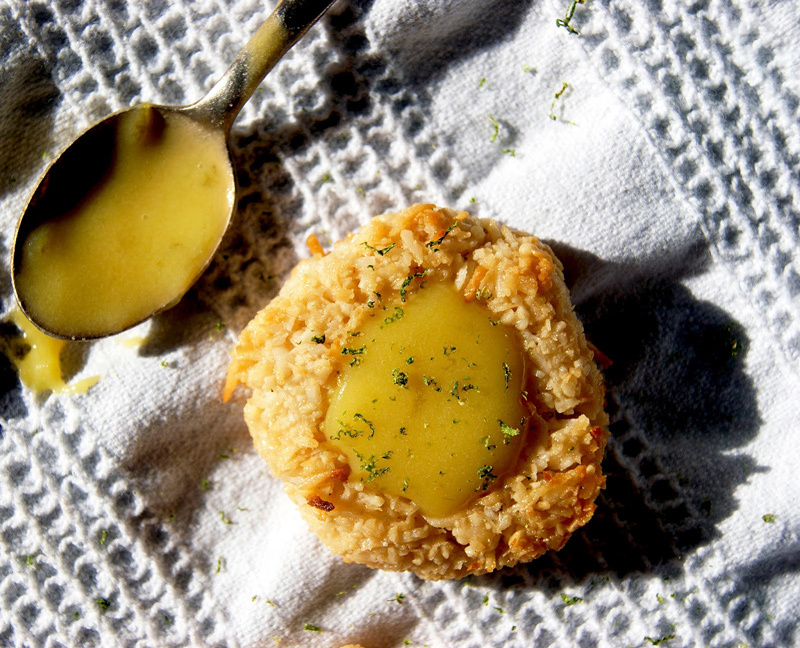 Or, if you’re like me, ignore the holiday and make these coconut lime thumbprint cookies just because. I’ve been trying to post some more simple recipes after getting reamed out by my friend Ashley. Apparently most people don’t have the ingredients I’m using in their kitchens, and I need to do some different stuff. Ha. 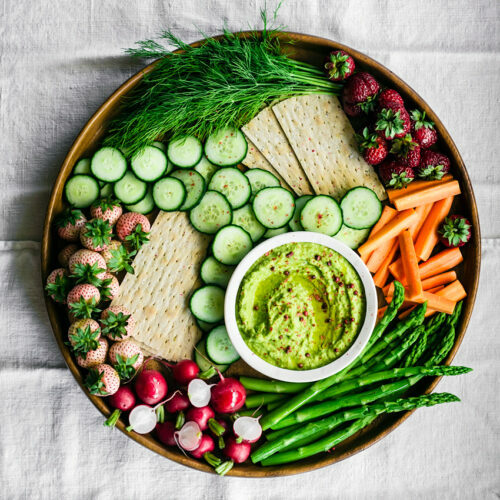 In this case, if you cook with whole foods pretty regularly, you shouldn’t need to go out of your way to get the stuff needed for this recipe. I know Ashley has these things. You might need to buy some limes. It takes a lot of limes to get 1/3 cup of juice. I tried a version of these with coconut flour instead of almond meal, and they were a horrible grainy mess. I’m not really sure what to recommend if you have a nut allergy, because I think the oiliness of the almonds is necessary here. If anyone tries them with a different flour, please let me know! 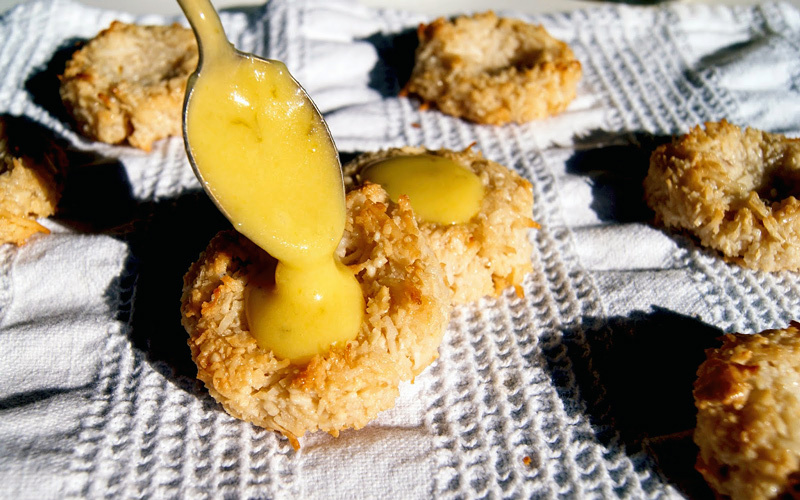 Love the idea of a coconut cookie but not a fan of the oil needed in this recipe? Or maybe you want an egg free version? 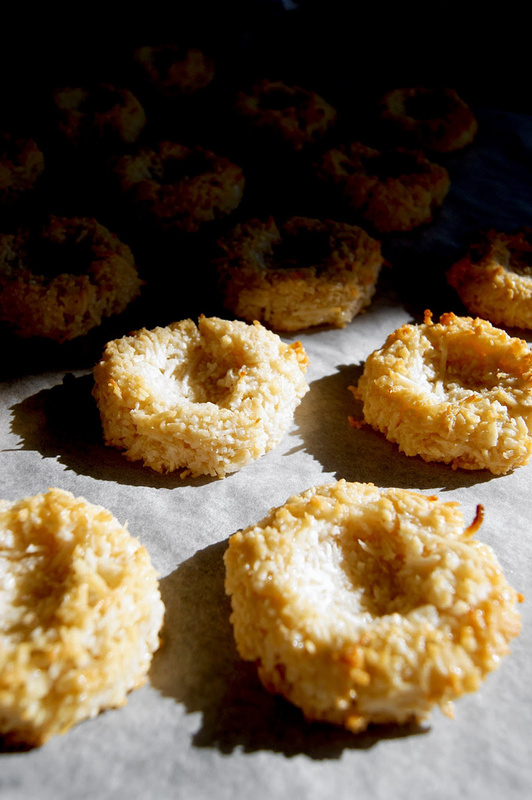 Try my orange coconut macaroons! Oil & egg free but otherwise pretty similar to these little guys. I read these books over the weekend. If you like young adult sci-fi fantasy kind of books, I suggest trying them out (they’re free!). It’s definitely not something that’ll make you ponder existentialism, but it was a nice light read. The books are part of a larger series about a girl in her late teens who’s coming into some powers and trying to figure out what to do with them. I don’t think I would have purchased them otherwise, but downloading free books on my e-reader is almost always worth it. I’m also really loving Earthsprout since finding Elenore’s blog a few months ago. She is so positive and inspiring, and her recipes are just wonderful. The photography is stunning too. What a nice lady. I’ve been trying to read a post a day for that last little while and feeling better for it. She makes me want to write way more in-depth posts, take better pictures, and be a happier, more open person in general. In a medium saucepan, melt the coconut oil over low heat. Add the honey, vanilla, coconut, almond meal, and salt. Stir well and remove from the heat. Add the egg whites, stirring until fully combined. It'll be pretty sticky. Use your hands to form small (about 4 cm across) patties and place them on the prepared baking sheet. Using your thumb or pointer finger, make little indentations in the centre of each cookie, gently pushing the sides together if they crack a little bit. Bake at 350F for 12-14 minutes, rotating the pan halfway through if you remember to. They'll be lightly golden when done. Place the pan on a cooling rack for five minutes, and then gently remove the cookies and let them cool on the rack. They'll firm up as they cool. Once they're done, bop a little lime curd in the middle of each. Whisk the honey and egg yolks in a small saucepan for about a minute, or until fully combined and slightly lighter in colour. Add the lime juice and zest. Cook over low heat, stirring constantly, until it starts to thicken. This will take about five minutes. Add the coconut oil and continue stirring for about a minute, or until it's fully incorporated and has thickened a little more. You can strain it now if you want to, but I never do. Cool completely before adding to the cookies. You only need about half the recipe for the cookies, and the other half will keep in the fridge for about a week. Eat it on ice cream, in yogurt, with bread, on a spoon, whatever. 1. I reduced the lime juice down from the 1/2 cup lemon juice used in the original recipe because it was much sourer. 2. Coconut oil has been substituted for butter because the coconut taste works well with this recipe, but you can use unsalted butter instead if you'd like.